truths | my heart is happiest when i travel. read. write. connect. It’s already March 31st?!? My last day of slicing in the SOL challenge for 2016 is here. Noooo! I don’t want it to be over. I have more stories to tell and more connections to make. Can’t we have more time? You know that quote by Dr. Seuss “Don’t cry because it’s over, smile because it happened.”? Well, I think it’s baloney! I can be both sad that it’s over and glad that it happened. And that’s okay. Another theme that emerged was writing about work. It makes sense, considering I spend an inordinate amount of time there, and my life sort of revolves around it. My work slices were mainly about being stressed or overwhelmed, which is bound to happen in a school, but some were about my passion for literacy. I’m glad to see that those slices bubbled up to the top, begging to be written, as they truly show who I am and what I’m about. As I pack it in this year, my sixth year in the challenge, I am once again grateful for this space to connect with writers the world over, sharing bits of ourselves with one another. Being a part of this challenge makes me a better writer. Not only does it increase my energy and stamina for writing, but it gives me a purpose and an audience. I learn from other writers, and am encouraged to continue writing each and every day. This is a challenge that I look forward to year after year. I find that, despite everything on my plate, I make time for writing. Without this commitment to daily writing, I make excuses and other things weasel their way into my day, leaving me with no time to write. But in the month of March, I carve out time. No matter what’s going on, I put it aside to pour my heart out on the page, hoping to make sense of this crazy, wild ride we call life. I am honored to do this with all of you, my SOL community. I cannot thank the leaders at TWT enough for hosting this challenge each year. I know it’s hard work, but it’s good work. Thank you. This entry was posted in Slice of Life and tagged reflection, Slice of Life, truths on March 31, 2016 by aggiekesler. Reflecting is a part of life. Taking stock of what you have, what you’ve done, and what you’ll do next time is essential to living. All too often, my reflections are focused on ways to improve upon something, to be more efficient, effective, productive, or thoughtful. But sometimes it’s just good to reflect on the good things in my life. Today, that’s what I intend to do through TBAs, which stand for Truths, Beauties, and Appreciations. I have a magical, wonderful, little life! My friends are some of the best friends a girl could ask for! Even when we are continents apart, we are always there to support one another and share in each others’ successes. I love them! This year’s SOL challenge has been good for my soul. It’s gotten me out of my writing rut, and allowed me to reconnect with some of my old friends. I’ve missed reading. Too many other things have taken my time lately, but I’ve gotten back into this week. I’ve been reading Nightingale, which I am loving. Reina, Mel and T’s adorable baby girl, whose smile lights up a room and who can make me happy, even when I’m feeling sick and wiped out. Shagger’s new baby Marlowe, who is just too cute for words! I cannot stand not being there to snuggle up with and love on her! My passport, full of stamps from my travels around the world. The bright, colorful, patterned fabric they have in Senegal. I’ve not seen anything like it before! Sally, my colleague and friend, who is always offering to help me out when I’m stressed. Even when her plate is full, too, she is always willing to lend a hand. What would I do without her on my team? The love and care Mel, T, Sally, and Agnes have given me this week when I haven’t been well. It’s certainly not what I expected- to be sick while in Senegal- but I appreciate all the care I’ve received. What do you know to be true, beautiful, or appreciate? This entry was posted in Slice of Life and tagged #sol16, Appreciations, beauties, friends, lists, reflection, Slice of Life, TBA, truths on March 25, 2016 by aggiekesler. Today was tough. I was angry. I was frustrated. I was hurt. But despite the fact that I’m going through a hard time, I’m going to give gratitude. I going to intentionally look for things that I know to be true, that are beautiful, and that I appreciate. I am loved. My friends and family have poured so much love on me through numerous messages, emails, comments, and hugs these past few weeks and days. Everyone of your words and gestures has touched me deeply. Thank you! I am in pain, but there will be a day when the pain will stop. Everyday I take a step toward the end. Everyday I hope that today will be the day. I may not be able to make a difference, but I can stand up for what I believe in. I can use my voice. I hope this is enough. I live a truly remarkable life. I get to travel the world, meet new people from diverse cultures, try new foods, indulge in luxuries, and work with kids. For that, I am truly thankful! The sight of my e-bike today. My e-bike that I left at Bubba’s (a restaurant) on Thanksgiving was right where I left it today. I know, with my track record with stolen bikes, I’m not too smart to leave it for 3 months, but it was COLD! Just glad it was still there! The song “Mean to Me”…I want love like this! Shanghai at night…love the lights! I appreciate my team. My team has stuck together through this trying time, and I don’t know what I’d do without them. I appreciate chai tea lattes. They make me smile. I appreciate Pizza Express, unlimited sweet tea, and good conversation today at lunch. Just what I needed! I appreciate the Two Writing Teachers SOL community of writers…you guys have uplifted me so much these past few days! Reading your comments not only fuels me as a writer, but shows me that I’m not alone. You mean more to me than you know. I appreciate Sherpa’s…on days when I don’t feel like cooking, I love that I can get food delivery at my door in less than an hour. Tonight was Thai yellow vegetable curry…yummy! 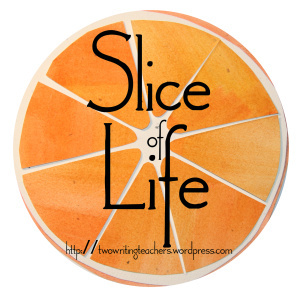 This entry was posted in Slice of Life and tagged #sol15, Appreciations, beauties, lists, reflection, Slice of Life, TBA, truths on March 4, 2015 by aggiekesler. Time for TBA’s again! TBA stands for Truths, Beauties, and Appreciations. I have the best friend in the world! She cares about me so much, and she is the best accountability partner ever! What would I do without my Shags?!? I might not say it enough, but I’m so blessed. I need more goat cheese in my life. Despite staying at work until 9PM, I went for a run tonight. And I hate running. XiTong, the cutest 4 year old around…her spunky spirit is contagious! Love her hugs! Shanghai in the springtime. My allergies go crazy, but I love all the newness blossoming around me! I appreciate music that keeps me going…my new fave “Sleeping at Last” for work jams and old school 90’s to motivate me to move my booty! My colleagues- they work like crazy to provide the best education to our kiddoes. I’m lucky to have so many great teachers on my team! This entry was posted in Slice of Life and tagged #sol14, Appreciations, beauties, goat cheese, Slice of Life, TBA, truths on May 6, 2014 by aggiekesler. Reflection is a way to take a step back and look at life from another perspective. When I reflect, all too often it’s to think about how I would have done things differently- behaved in a different way, said something else, been better prepared, etc. While my reflections tend to focus on improvements that can be made for next time, I recognize the importance of reflecting on the good stuff, too. Looking at the world around us, noticing the little things, appreciating what we have, and being thankful are paramount to living a happy life. So in honor of happy reflections, here are my TBAs for today. TBA stands for Truth, Beauty, and Appreciation. 2. I look forward to each day, and savor it to the fullest. 3. I am so excited about the SOL challenge! I’ve been lax in my writing lately, and I love this push to dive right back into it. 4. I am passionate about learning, teaching, and literacy, and I love to pass that passion onto others. 5. I could drink my weight in sweet tea. 6. I am leaving for Cairo, Egypt one month from today, and I couldn’t be more thrilled! 1. The two elderly Chinese women I passed on my walk today who were laughing and talking outside of their apartment complex. 2. The flower market on a Saturday afternoon…and my beautiful purple and white spotted orchid I bought to brighten up my apartment. 7. My niece, Randi, who is the cutest 9 month old around! 2. An impromptu brunch with my friend Heidi, who is as beautiful on the inside as she is on the outside. She makes me giggle every time we’re around one another. 8. That my sister-in-law is now cancer-free! 9. The life I have. Looking back, I didn’t know I could be this happy. 14. 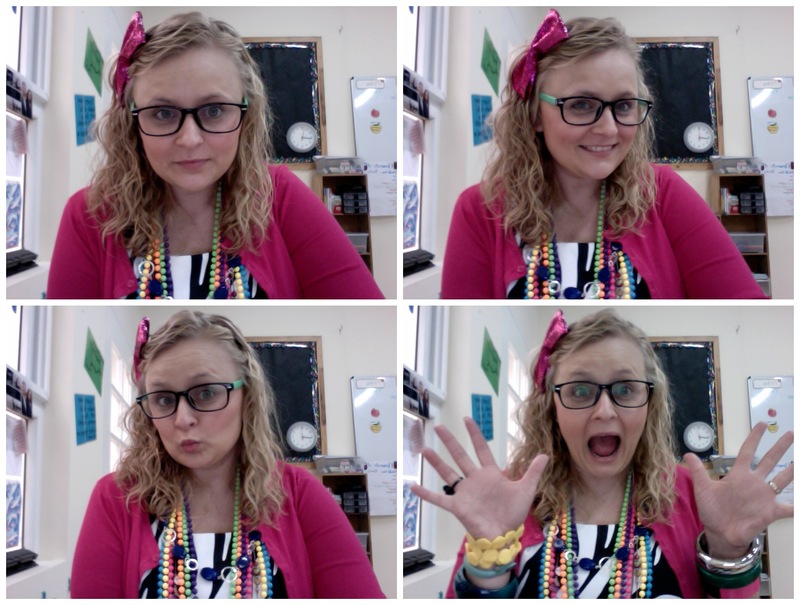 Having a job where I can dress up as various book characters, read aloud books, and excite children about literacy! This entry was posted in Slice of Life and tagged #slice2013, Appreciations, beauties, Slice of Life, TBA, truths on March 2, 2013 by aggiekesler.